Here are Most Famous Paintings in the History. Each year much money is invested by those who collect art on trying to acquire the world’s renowned paintings. We all know that the costliest ones may not necessarily be the most famous. These are usually displayed in Museums and may not be for sale. Water Lilies (or Nympheas) is actually part of a series of about 250 oil paintings by French Impressionist Claude Monet. The paintings show Monet’s own flower garden at Giverny and had been the inspiration of his work during the last three decades of his life. Scattered across museums of the world, you can see one at Metropolitan Museum of Art in New York. (Read More @Wikipedia). Depicting the torment of a scream, this is part of the sequence of expressionist paintings and prints by Norwegian artist Edvard Munch. It shows a tortured figure depicted against a scarlet skyline. The backdrop consists of Oslofjord, seen from the hill of Ekeberg, in Oslo. The painter created many versions of The Scream using different medium. The paintings in National Gallery and Munch Museum gained publicity when they were stolen and regained. (Read More @Wikipedia). Commissioned by Pope Julius II and painted on the Sistine Chapel ceiling, by Michelangelo between 1508 and 1512. This painting holds a significant place in High Renaissance. The Creation of Adam is part of the nine scenes from the Book of Genesis. It was the last to be finished, depicting the giving of breathe to Adam by God. (Read More @Wikipedia). This painting shows the Last supper where Jesus Christ talks about his betrayal by one of his Twelve Apostles. It is a Mural Painting in Milan and was created by Learnado da Vinci on the back wall of the dining hall of the monastery of Santa Maria dell Grazie. He worked at the painted in fits and starts from 1495 onwards and finished it in 1498. It is also suggested that the person on the right of Jesus is Mary Magdalene. This theory gained credence with novels that came later. (Read More @Wikipedia). Painted by Dutch painter Vincent Van Gogh. He was an artist who unfortunately saw very little in the way of success during his lifetime in spite of such incredible work. 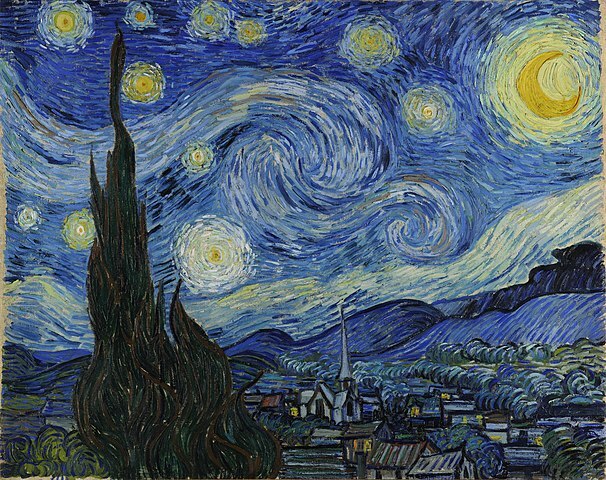 Starry Night is one of the most well-known of his work and has become very popular in today’s world. The painting depicts the village of Saint-Rémy under a swirling sky, in a view from the asylum towards north. It can be viewed at Museum of Modern Art in New York. (Read More @Wikipedia). Mona Lisa is probably the most known of all paintings due to the colorful tales attached to it as well as the beauty of he painting. In fact there is no one who has not studied the mysterious almost-smile on the painting. The creation of Leonardo da Vinci during the Renaissance in Florence and painted over a period starting 1503-1404, it was completed in 1519, just before his death. 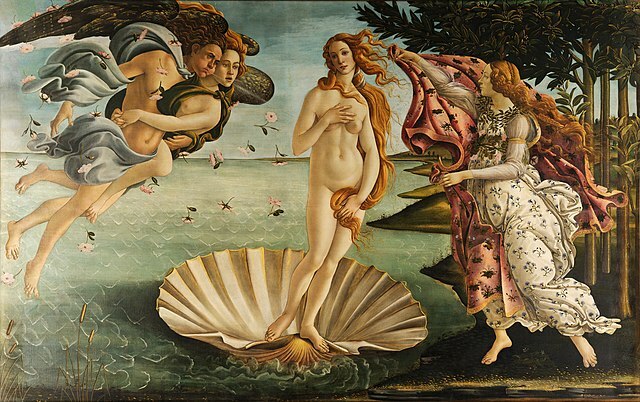 The painting got its name from Lisa del Giocondo, a member of a wealthy family of Florence. After being stolen, hidden and then recovered, today you can see Mona Lisa in the Louvre in Paris. (Read More @Wikipedia).